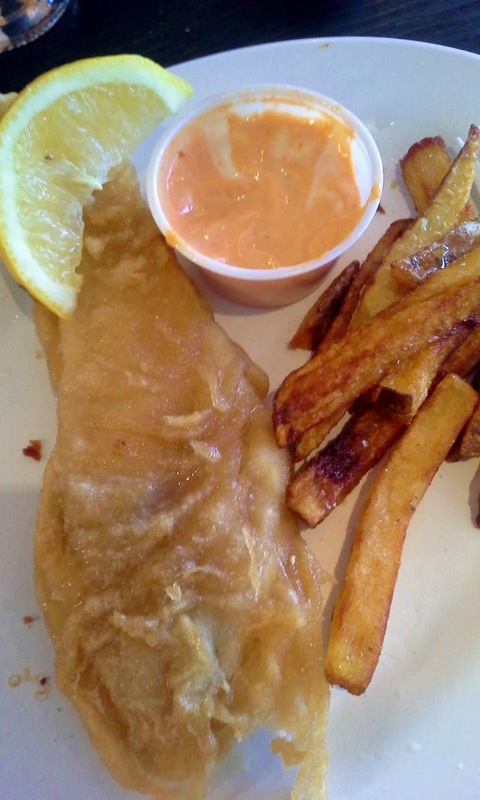 The Purple Scarf: Restaurant Review: The Good, The O.K & The Meh at Chippy's! Restaurant Review: The Good, The O.K & The Meh at Chippy's! I am not a picky eater. I know what I like and what I don't like to eat. So when I was invited to try out some of Chippy's Fish & Chips Inc. menu for free, my love for fish and chips had me jumping for joy! Chippy's is located on West Queen West across from Trinity Bellwoods Park, which is why it can get extremely busy on warm sunny days. The menu consists of your basic Fish and Chips fare and the price ranges from 9.50 - $14.99, which is a little steep when you add in taxes, drink, and an extra charge for tartar sauce! I visited Chippy's on one of the first warm sunny days of the season, so the tiny restaurant filled up fast. The service was great and even though it was just one guy cooking and taking orders for most of the two hours I spent there, he remained friendly and courteous to everyone. I did notice that some people had to wait almost 20 minutes to order, which is a little bad since the seating is limited, the restaurant is not air-conditioned, and it has no bathrooms. While there, I got to sample some of the scallops and prawns (each are $13.50 for 6 pieces). Both were good, not amazing but good. But the fries were really tasty. Also the pepper mayo dipping sauce was delicious! Although I wanted to sample the halibut, which I was informed by Chippy's supervisor Mike is their most popular dish ($14.99), they ran out. 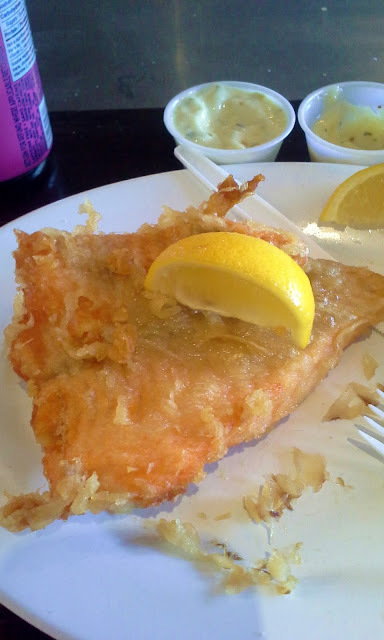 So I opted to try the haddock ($11.50). The haddock was just O.K. It wasn't great but it wasn't bad, it was actually a little bit tasteless. The last dish I ordered was Mike's favourite - the trout (no price listed). The trout was delicious! It was a little bit greasy but was full of flavour. The customer sitting next to me was a regular and told me he loves this place and always orders the cod ($9.50). I asked him why he kept coming back for the cod and he said it tastes like something his mom made. I think next time I visit I want to try the cod. P.s! : You can place your order online, which may help with the wait time, although someone showed up who order on line and he still waited 15 minutes for his order. Happening Weekend: Art & Cocktails Cars Free! Skincare Review: Glowing Skin from Pelle Beauty! Happening Weekend: Doors Open and Rocking Out! 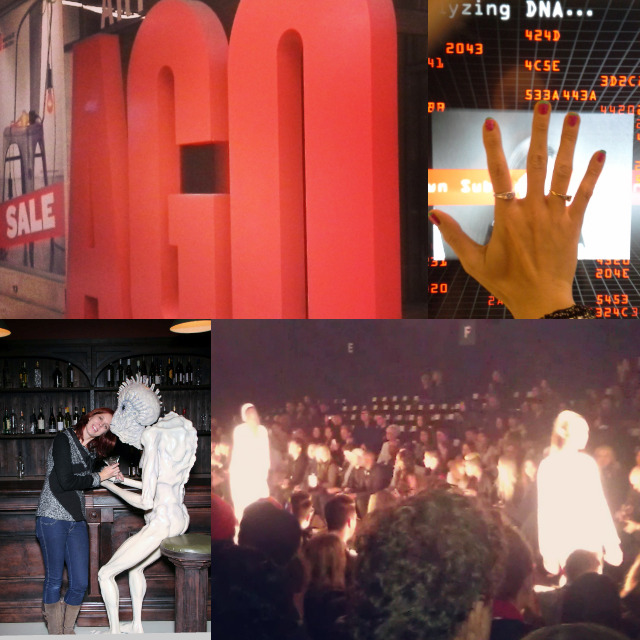 Happening Weekend: CONTACT, Movies & Bubbles! My Style: Belt it Out! Exhibit: Past and Present Collide at MOCCA! Happening Weekend: Beer, Basquiat & Blossoms!